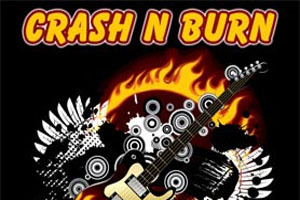 Crash N Burn are a 4 piece band playing mostly rock and harder edge pop covers and having fun while doing it. Performing regularly around surrey and south London pubs and clubs the band are attracting great audience feedback and follow on bookings. Fantastic vocals are underpinned by excellent drums, rhythm guitar and bass with blistering lead guitar work to boot, all delivered with trademark energy and enthusiasm. The sound is balanced and well delivered through the bands own high powered quality pa and always at the required volume for the venue.